PreK & Up. 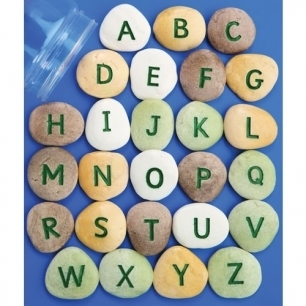 These clever pebbles are an ideal tool for building interest in letters and sounds in a wide variety of contexts, including sand, water, and discovery play. Each set includes a storage container and teacher's guide. Set of 26 pebbles. Pebbles are approximately 1 1/2" in size.